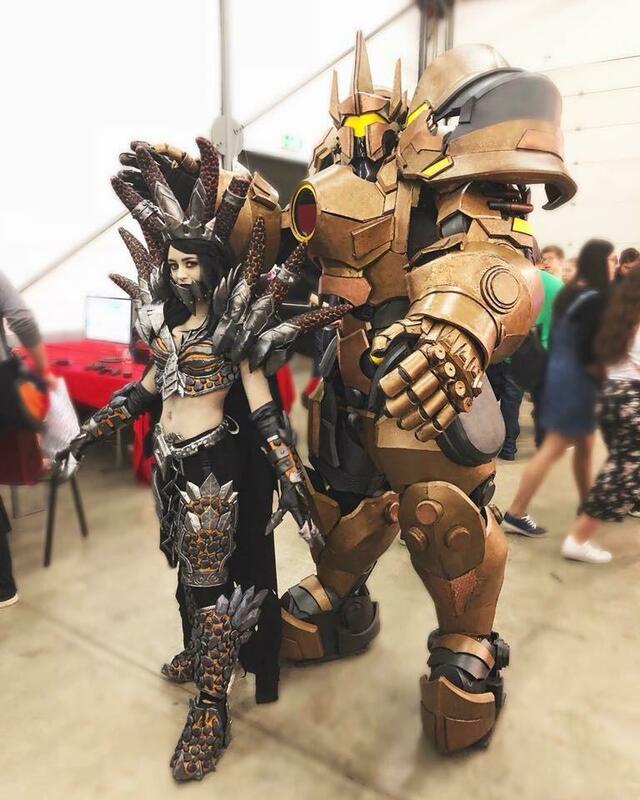 Cosplayers Kyla Ren and Prizmatec as Deathwing from Warcraft and Reinhardt from Overwatch. Kyla Ren is a Swiss cosplayer with an Instagram account here and a Patreon. This cosplay is a Rule 63 Deathwing, who is normally male, and looks to be inspired by this piece from Zach Fischer. Prizmatec is based in Italy and shares via Facebook. Overwatch’s Reinhardt is a rocket-propelled, hammer wielding, knight.